In the BBC’s series Sherlock, John Watson gets into a fight with the self checkout machine at the grocery store. The fight is hilarious, mainly because most of us have lost our temper at those same machines…or at least witnessed someone else’s struggle to pay for their groceries. There is nothing more frustrating than trying to execute what seems to be a straightforward task and being blocked at every turn. Similarly, submitting data to the CO APCD seems simple enough on the surface but in reality, there are numerous steps to be followed – heck, there is an entire guide to help submitters through the process. However, CIVHC and our data vendors, Human Services Research Institute (HSRI) and NORC, work with submitters from the start to make the process as smooth as possible. When a new submitter is identified, HSRI walks them through the entire submission process. Trainers acquaint submitters with the Secure File Transfer Protocol (SFTP) connection where they submit their claims, make sure they have the proper encryption key and user permissions, and show them how to compress the data for transmission. They discuss the different levels of data validation, possible issues that may arise during submission, and fixes for these issues. Then the submitter sends test files. 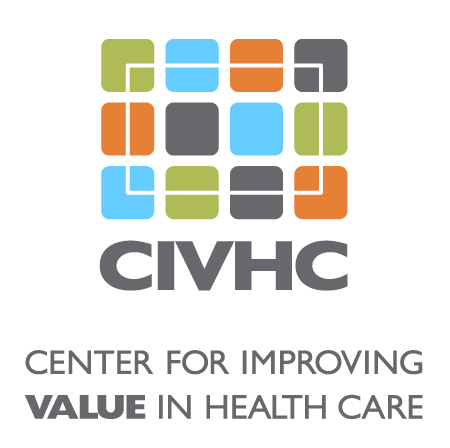 CIVHC and HSRI assess these files to make sure they pass on a basic structural level and are able to continue on to validation and quality checks. After ironing out any structural concerns, the submitter sends along historical claims data (usually back to 2015), and moves into the regular, monthly processing stream where claims are due by the first of each month. In order for claims to pass validation and move into more extensive quality checks, all submitters must follow the instructions in the current Data Submission Guide. Seemingly minor errors, like incorrect files names, can cause claims to fail validation. Files are decrypted as soon as they are transmitted to NORC’s secure Data Enclave where they are picked up by an automated validation process. Currently, there is a library of over 300 validation tests that are run on new submissions to the CO APCD and all submissions must pass before they can progress into further quality checks. HSRI’s submission portal lets submitters know when they receive the claims for each month and begin validation, which can take up to 24 hours, but usually happens within minutes. Upon completion of the validation, submitters are notified as to whether there are issues with the submission or if the claims passed the tests. Detailed information about any submission issues are available in the online portal so submitters can investigate the results of the validation and make any necessary adjustments prior to resubmitting the data. After validation comes more finely tuned quality checks, designed to make sure the data is accurate and actionable. HSRI analysts investigate monthly payments like Per Member Per Month, try to match member eligibility, review allowed amounts, and look at trends within the population of the data. These quality checks allow analysts to see if there are any unexpected anomalies that may result from data submission errors. Finally, once all validation and quality assurance concerns have been addressed, the claims move on into the CO APCD data warehouse and is available for analysis and reporting. As you can see, submitting claims to the CO APCD is a pretty detailed process – especially since submissions are now required within 30 days rather than by the 90 deadline that used to be in place. CIVHC is very grateful to all of the submitters who work each month to send along their information, thereby ensuring that the CO APCD is as complete and timely as possible. We are also indebted to HSRI for developing a streamlined process that includes ample technical support – unlike those awful checkout machines. Curious about something? Have an idea about a future Plaintalk Blog? Let us know at info@civhc.orgor by commenting below.